The National Corvette Museum has announced the following inductees to be recognized as part of the 19th Annual Corvette Hall of Fame Ceremony in 2016: Bob Bondurant in the category of Racing; Ralph Kramer in the category of GM/Chevrolet; and Donna Mae Mims in the category of Enthusiast. These three individuals will be recognized with the highest honor bestowed by the Museum for their contributions to the past, present and future of Corvette. 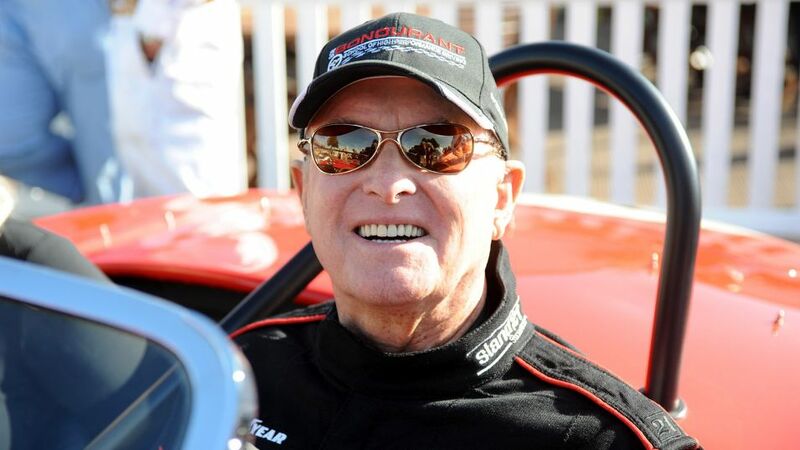 Bob Bondurant helped to validate the Chevrolet Corvette as a world-class sports car during its early years, winning on racetracks in both the U.S. and abroad. In 1959 he won 18 of 20 SCCA-B production races and from 1960-63 he won 30 of the 32 races he entered. Today, Bondurant has graduated over 500,000 students ranging from celebrities, military officers, professional race drivers, teens and driving enthusiasts to be better, safer drivers at the Bob Bondurant School of High Performance Driving in Phoenix, AZ. Ralph Kramer was one of the first Chevrolet executives to bolster GM support for the Corvette Museum in its founding years, helping establish connections, opening doors, and preserving history. Had it not been for him, the one-millionth Corvette likely would not be a museum display piece today. During his tenure in Chevrolet public relations from 1973-1995, he managed the brand’s pace car and race engine presence at the Indianapolis Motor Speedway, later becoming the Speedway’s public affairs director and director of the Hall of Fame Museum. For Donna Mae Mims, a.k.a. “The Lady in Pink,” it was love at first sight when it came to Corvette. After purchasing one brand new from Don Yenko Chevrolet, she soon joined the Yenko/Chevrolet race team that dominated A/Production and B/Production SCCA racing with Corvette. Mims served as Manager of Hi-Performance at Yenko Sports Cars, was a freelance writer for several car magazines, and inspired Adrienne Barbeau’s character in the Cannonball Run movie. She was active in the Steel Cities SCCA Region, Corvette Club of Western Pennsylvania, Three Rivers Corvette Club (which she founded), Steeltown Corvette Club, and Tri-Rivers Car Club Council. The induction ceremony and banquet will be Friday, September 2, 2016. Read more about each of our esteemed inductees online here. next Is GM Planning an Electric Corvette?